More about Marimekko Rasymatto Pink / Red Large Throw Pillow An unexpected color combination is a fresh take on Maija Leoukari's classic Rasymatto (Rag Rug) pattern, and is the pop of color and print your decor needs. The 100% cotton cover is easily removed from an insert by means of a hidden side zipper so it can be tossed in the wash. 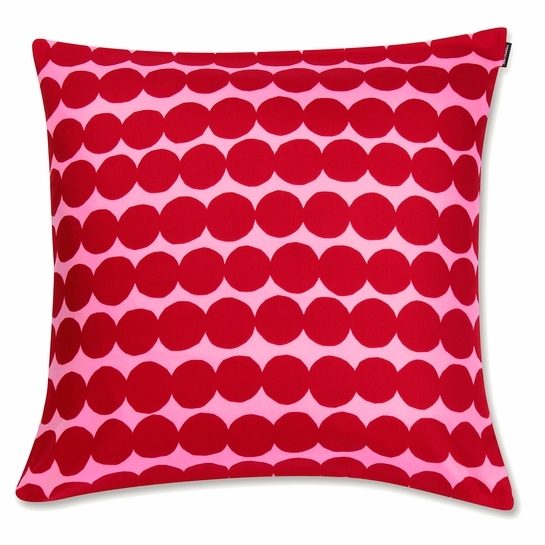 Mix and match with other Marimekko patterned pillows for a sitting space that looks and feels inviting for all of your family and guests this season.